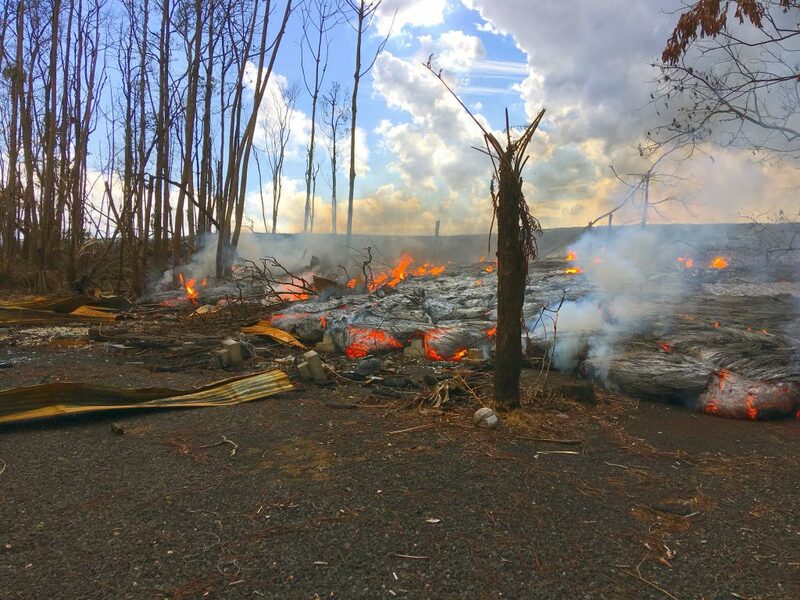 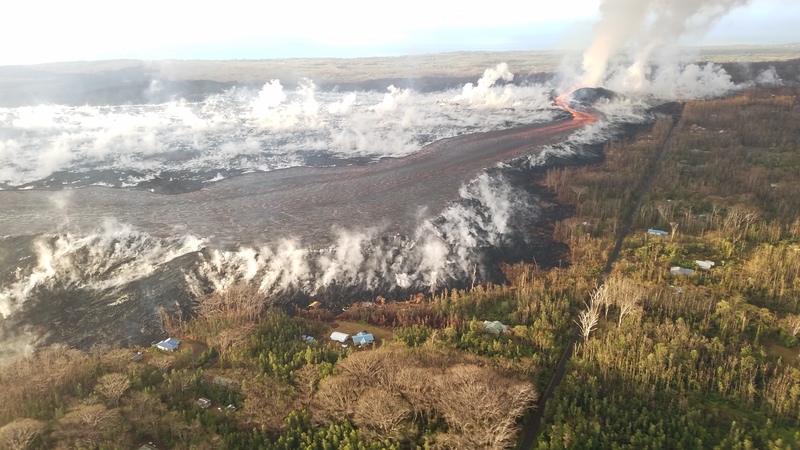 Three months ago today, shortly before 5 pm on May 3, lava began to erupt from one of several cracks that had opened in Leilani Estates in the Lower Puna district of the Big Island of Hawai’i. 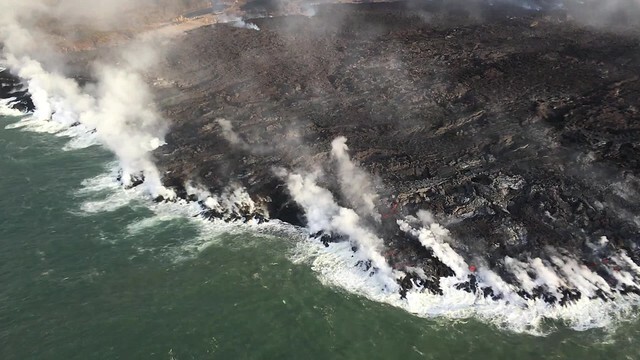 This followed several days of earthquakes indicating magma moving downrift from Puʻu ʻŌʻō, after its floor collapsed and its lava drained away overnight on April 30. 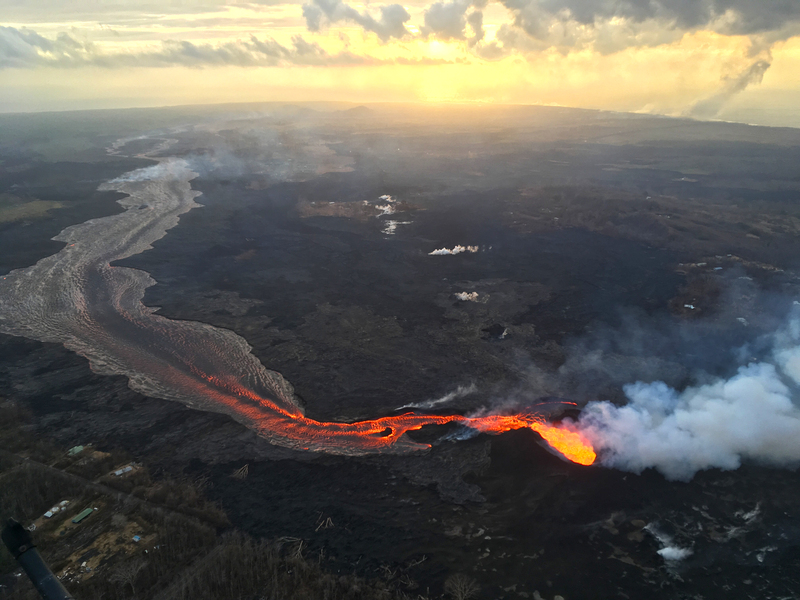 At first, the fissures spattered and sputtered, with most of the lava falling on both sides of the vents and building up ramparts (walls). Individual fissures erupted for several hours at a time, then died out. Some restarted, others simply steamed. A few sent out sluggish lava flows, claiming a few houses. 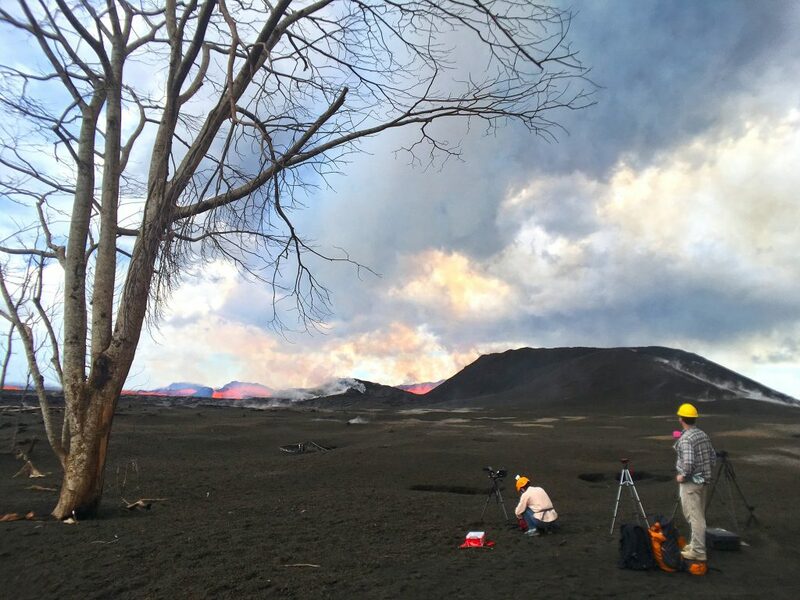 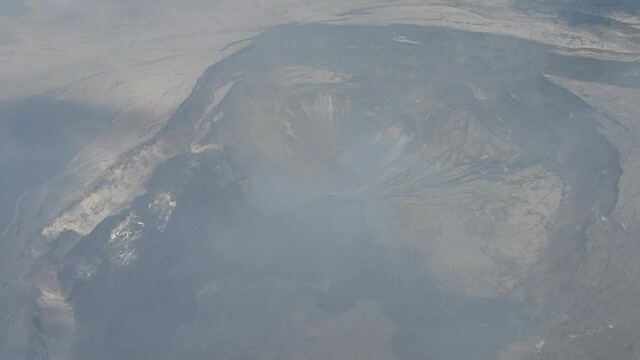 On May 19, the eruption began in earnest. 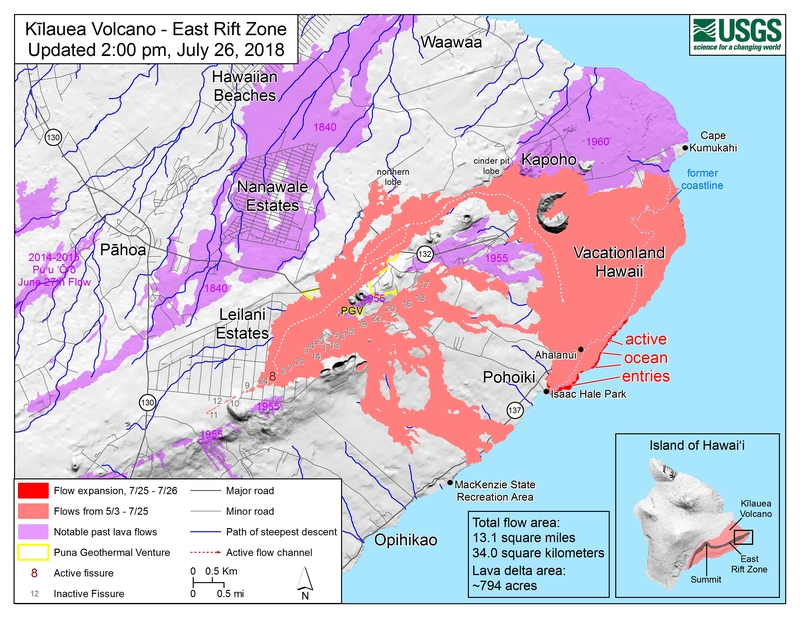 Most of the old, stale lava stored in the rift zone since the 1955 and 1960 eruptions had been pushed out, and fresh, hot, runny lava from Puʻu ʻŌʻō began pouring out of vents, sending the first lava flows down to the sea (See the Honolulu CivilBeat livestream from that day, timestamp 6:03). 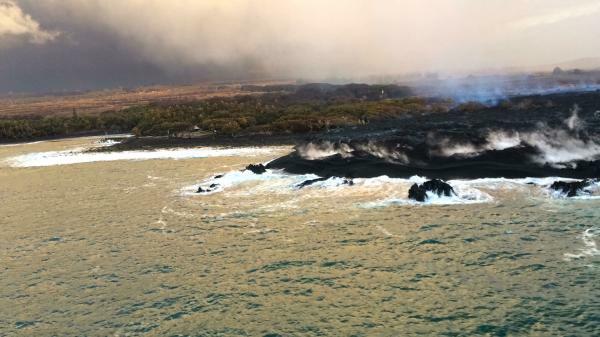 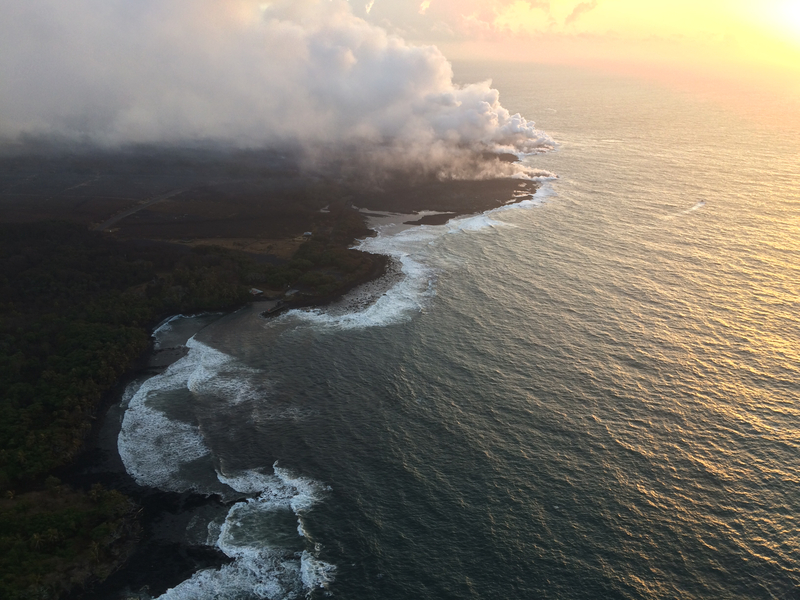 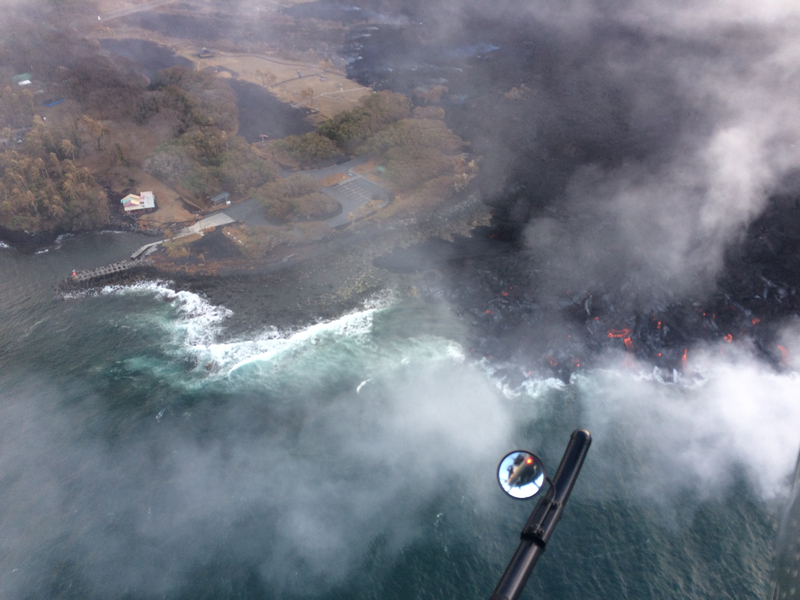 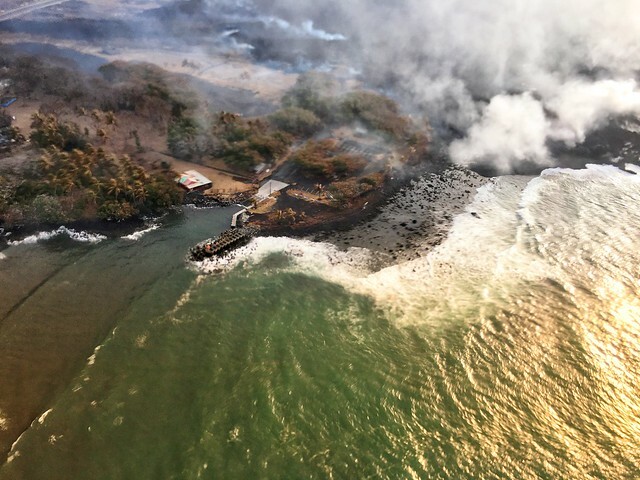 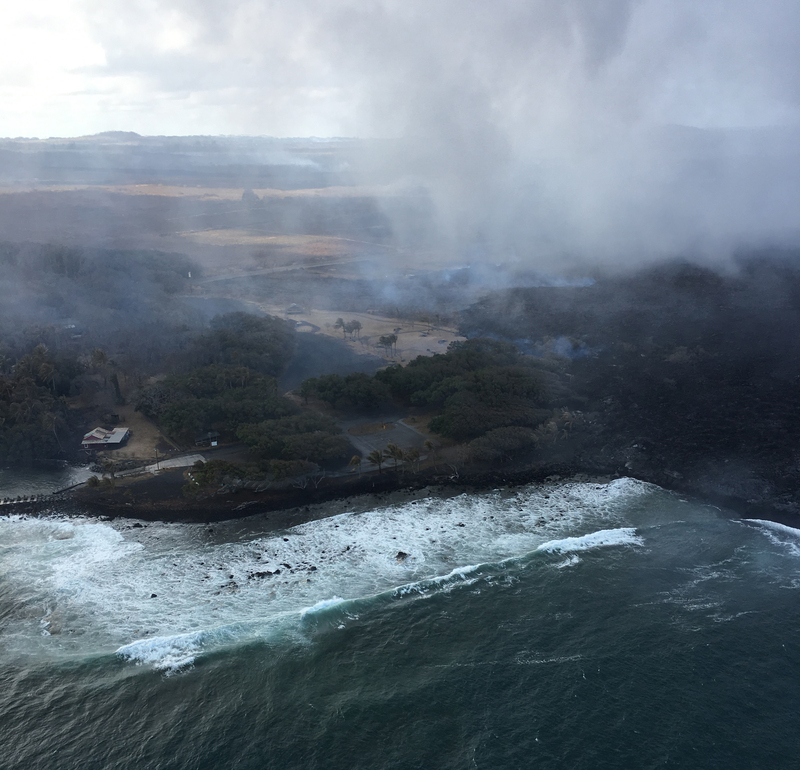 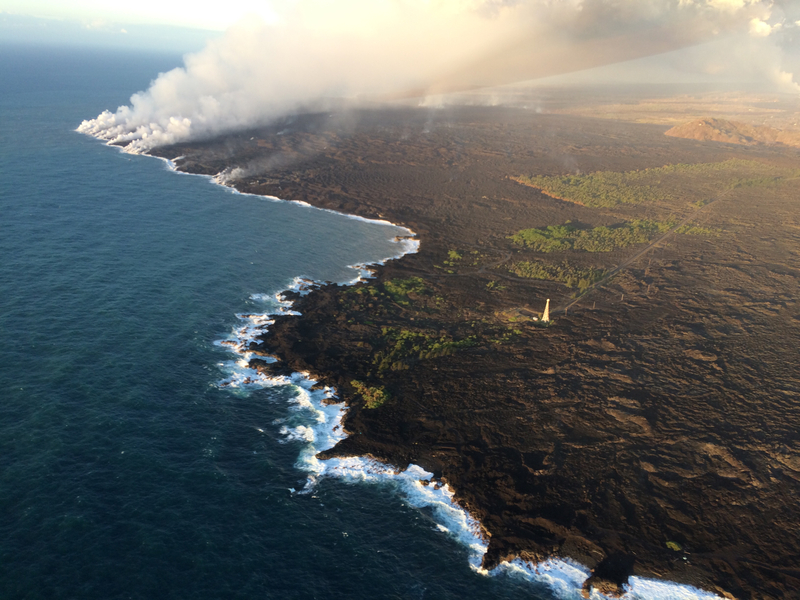 Lava reached the ocean before dawn on May 20. While Fissure 8 had originally opened on May 5, it was just one of many attempts for all that magma coming down the rift zone to find the most convenient exit. 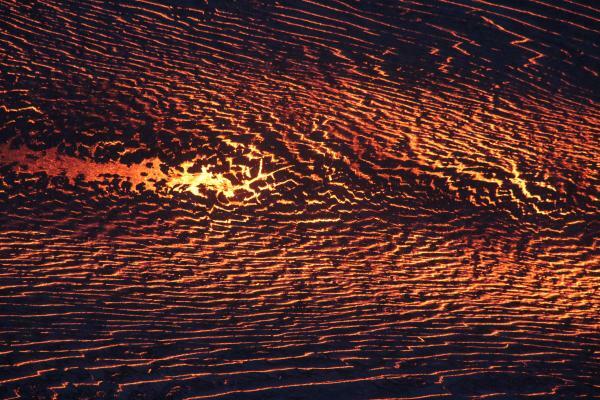 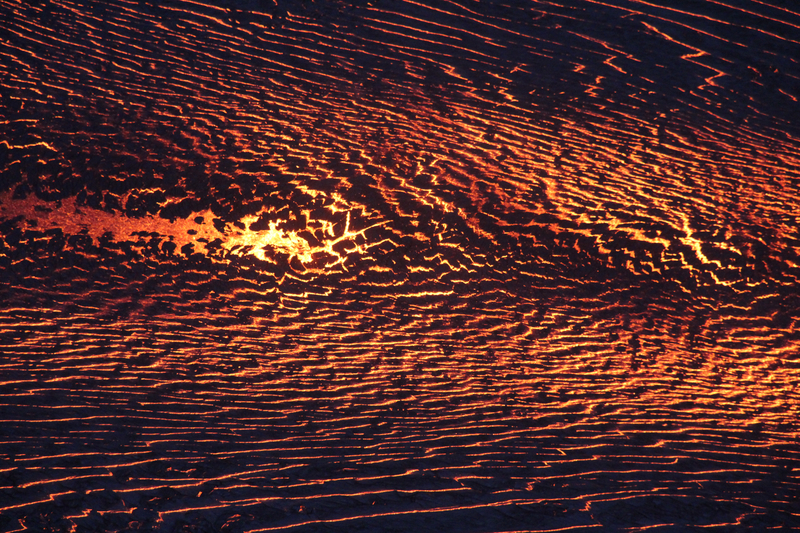 (Magma can reshape its own plumbing, just as we’ve seen lava do on the surface.) 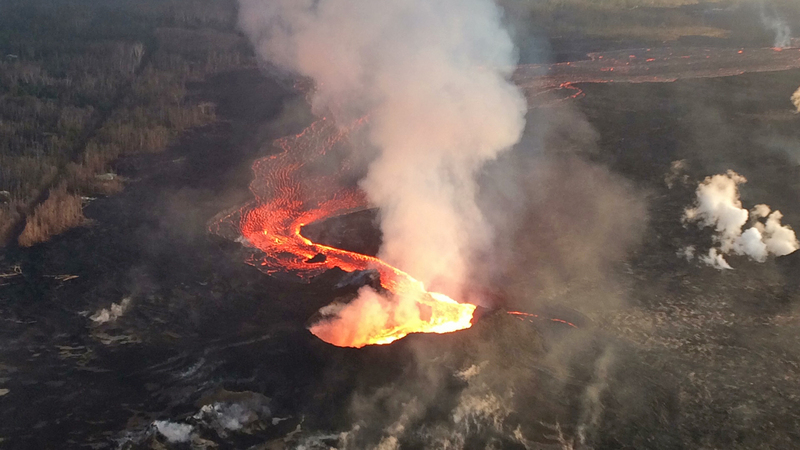 Fissure 8 reactivated again on May 28, and within a few days became the dominant vent for this eruption. 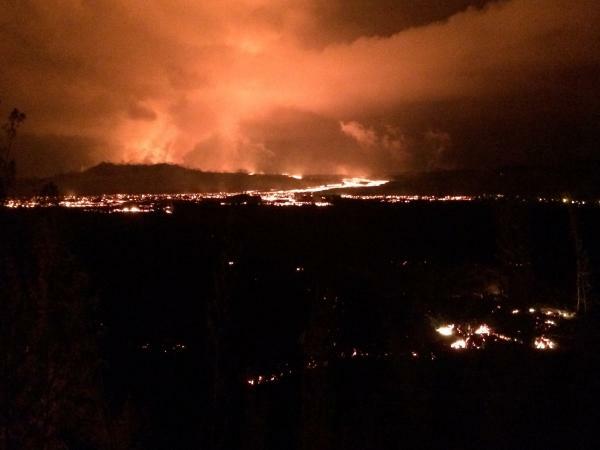 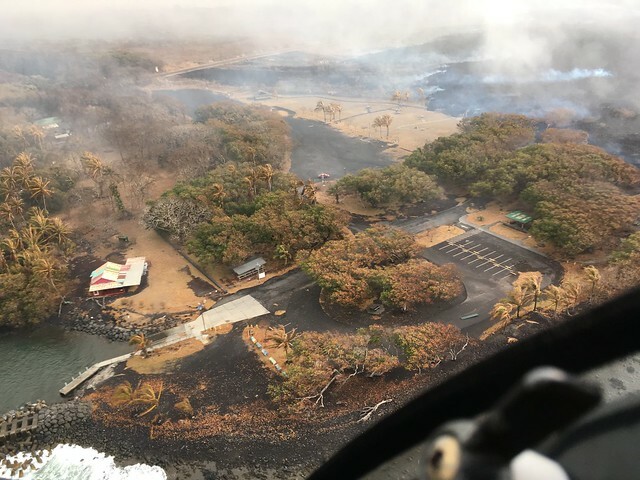 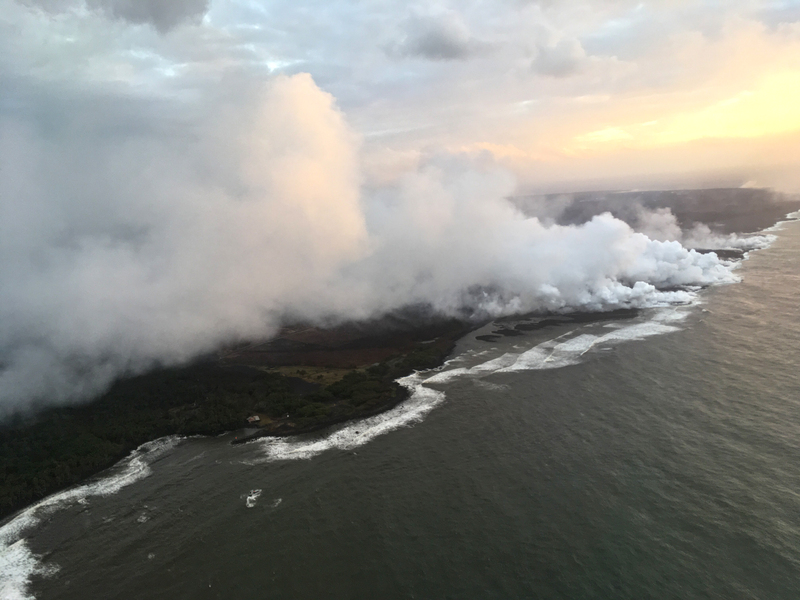 Its lava flow reached Kapoho Bay the evening of June 3, and had covered the bay within 36 hours. 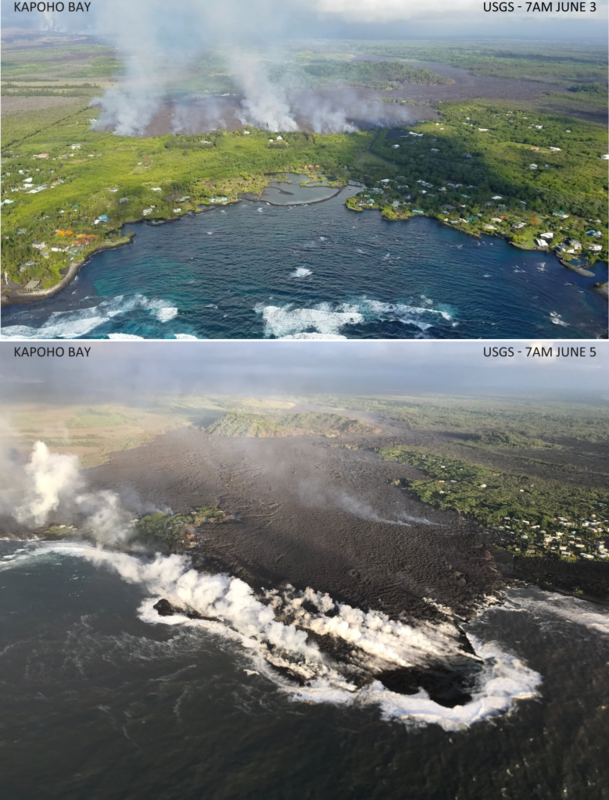 USGS overflights of Kapoho Bay, morning of June 3 and June 5. 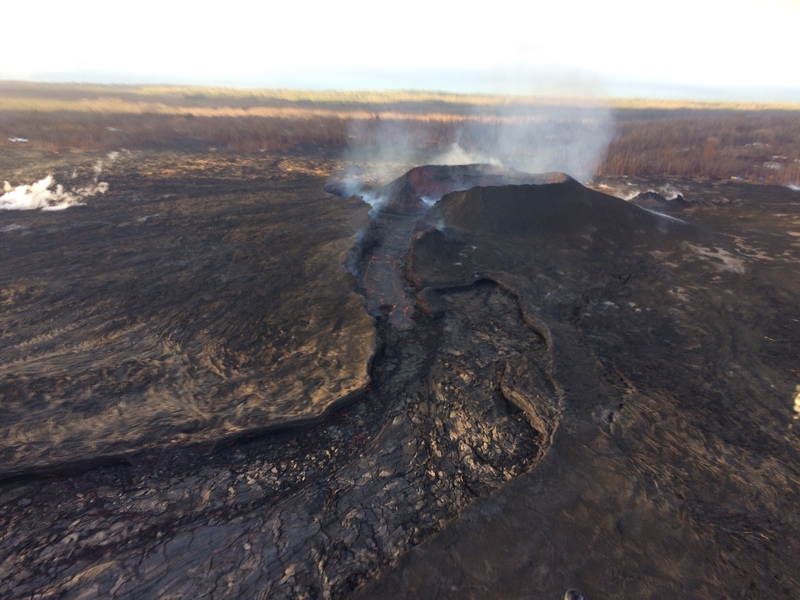 All that magma exiting the summit caused the lava lake at the summit to drain away, then Halemaʻumaʻu fell into it and started enlarging, and eventually much of the floor of Kīlauea caldera began to subside as well. 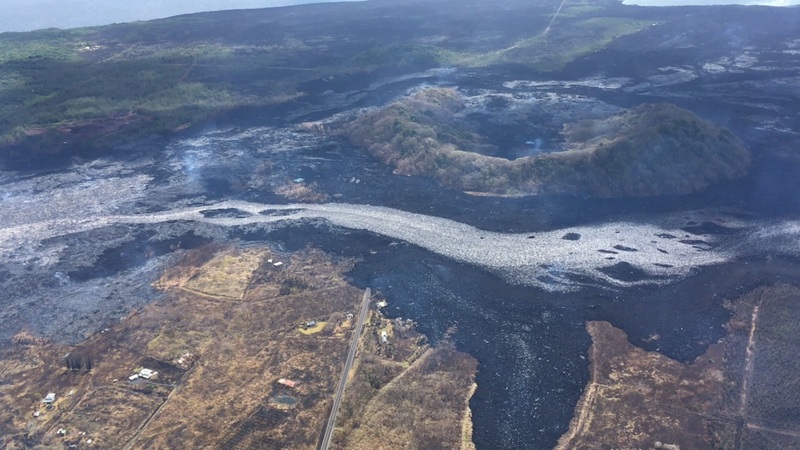 The collapses were explosive at first, then, after the lava lake’s conduit had been thoroughly blocked by rubble, the collapses settled into a regular pattern. 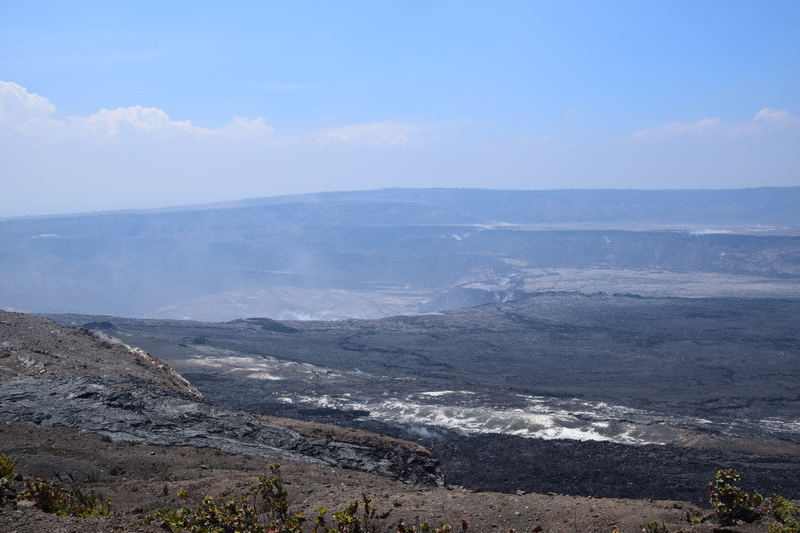 So here we are. The LERZ eruption has added nearly 800 acres to the island, covering lower Puna with 34.0 square kilometers (13.1 square miles) of lava. 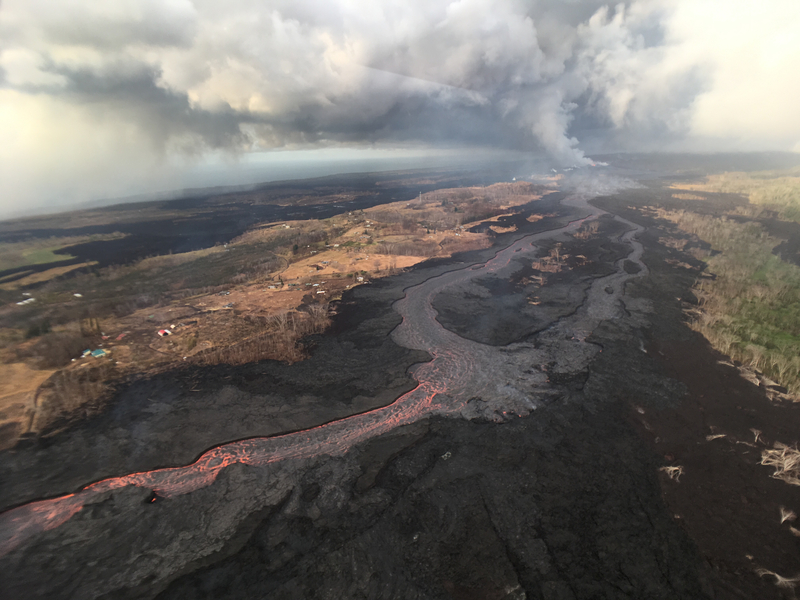 We’ve almost come to take for granted this extraordinary eruption, which has dramatically reshaped the summit of Kīlauea and produced more lava in 3 months than Puʻu ʻŌʻō did in 35 years. 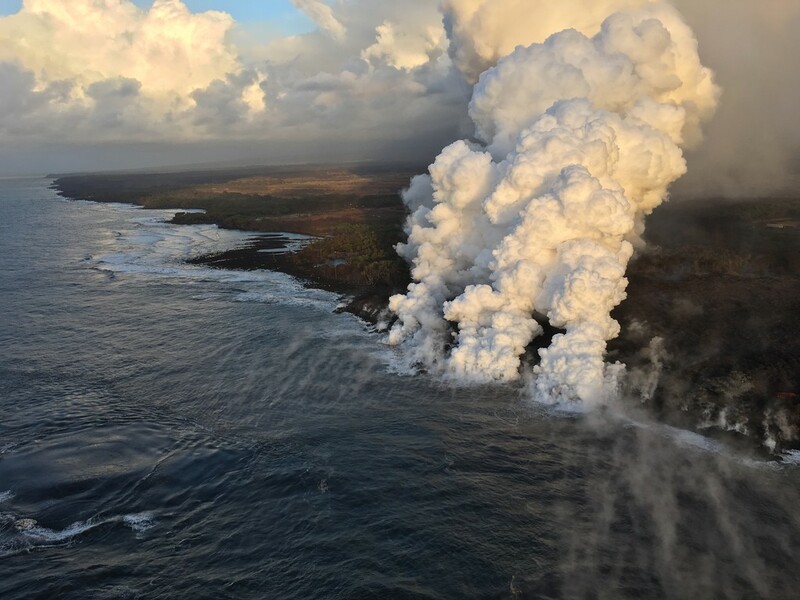 HVO’s volcanologists have told us that eruptions like this wax and wane— Puʻu ʻŌʻō certainly did, sometimes pausing for weeks— and that part of what makes Fissure 8 extraordinary is that it’s sustained such a high volume of lava effusion for so long. 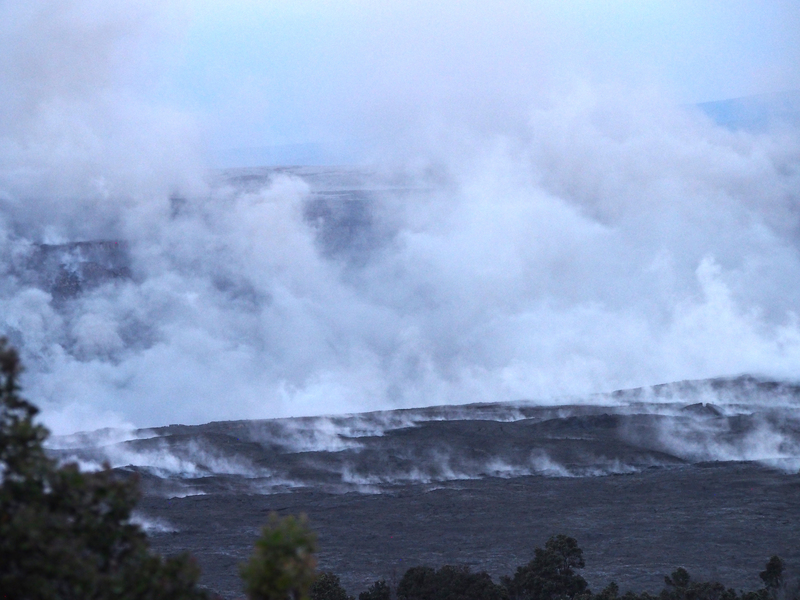 Today, it’s finally showed signs of weakening— maybe? 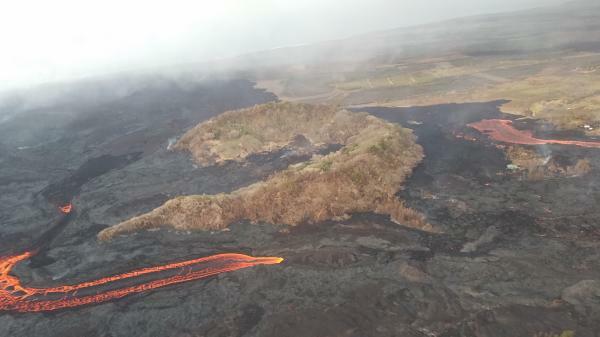 The USGS reported that its lava flow seemed sluggish and that lava levels are down in the lower part of the channel. 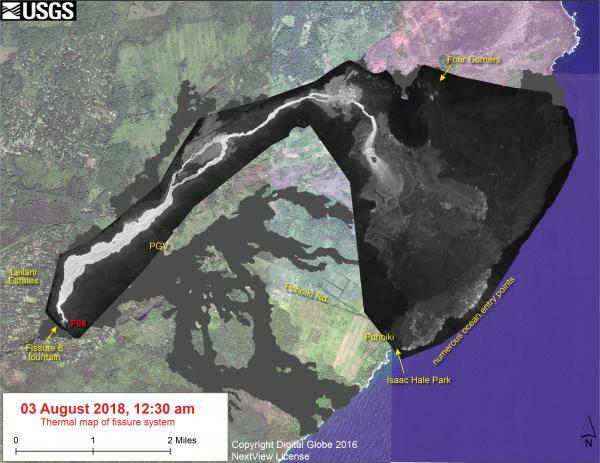 The flow margin remains stalled a mere tenth of a mile from Pohoiki’s boat ramp. 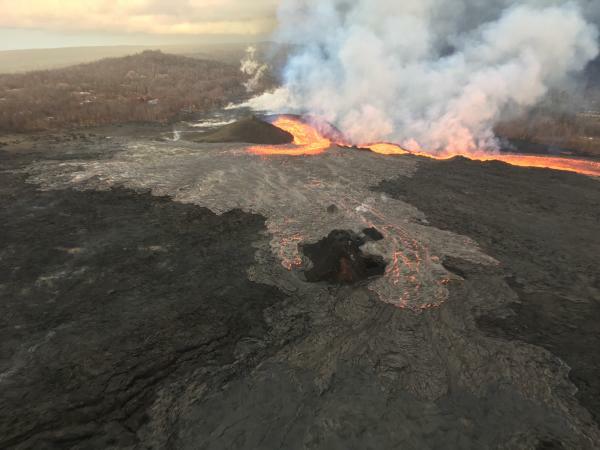 Today’s summit collapse occurred at 12:09 pm, energy equivalent of 5.3 as usual. 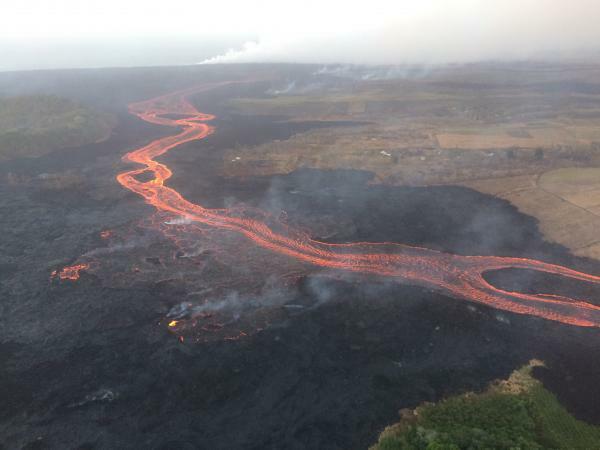 That’s 53 hours since the previous Type A event, the longest interval so far. 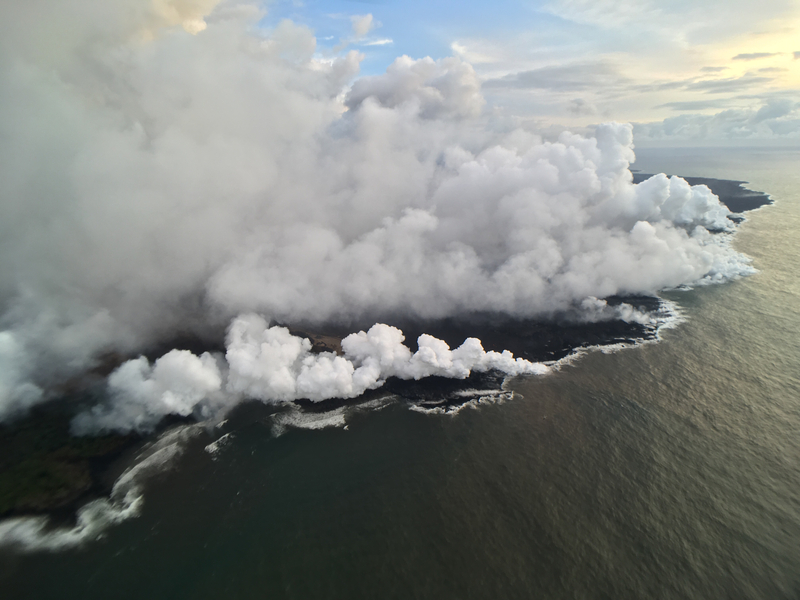 Clouds and fog obscured the view, but FWIW here’s my video captures of the HVO tower and northeast caldera rim livestreams.